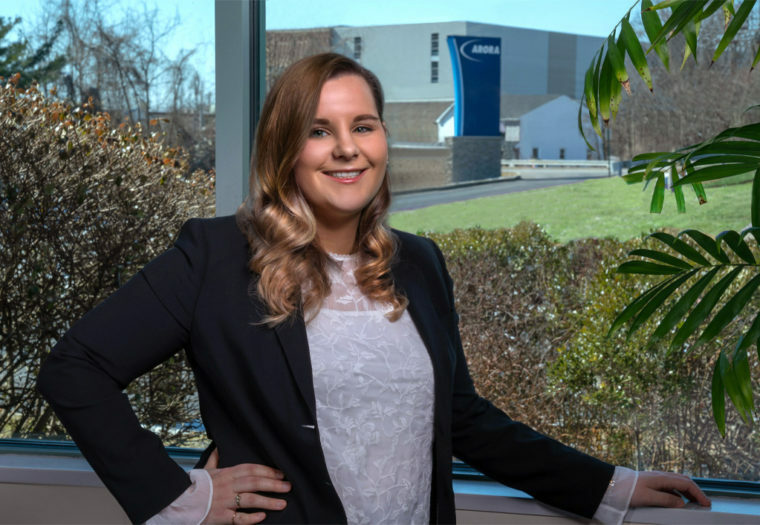 Employee Spotlight: Anastacia Michigan, EIT, LEED Green Associate - Arora Engineers, Inc.
How did you come to do what you do? Was this a lifelong goal? Growing up, my dad was an industrial engineer, which had some influence on my initial interest in the field. However, my decision to pursue a career in engineering was cemented in high school. I took a CAD/Engineering class all four years, which taught us the basics of drafting as well as primary engineering concepts, which I really enjoyed. In college, my Capstone project was designing an HVAC system for a college in Burundi, Africa. I really liked the project and how broad the mechanical discipline was, so I pursued that and looked for jobs where I could do something similar. What do you enjoy most about your job? What motivates you? I really enjoy the people I work with at Arora. Everyone has been so accommodating and supportive since I started, including my mentor, David Marsh, PE, LEED AP, and my team. They have been very encouraging, considering this is my first job out of college. Also, there is such a nice variety in our projects and every project we work on has its own unique challenges, so I feel like I am always learning new strategies and new problem-solving techniques. I believe I am one of the youngest people working at Arora, and for some this may be considered a disadvantage. However, I have been able to learn quickly and produce positive results for all the projects I have been assigned to in the time I’ve been working here. I worked hard to pass my Fundamentals of Engineering (FE) exam and LEED Green Associate exam, and I was able to pass both on the first try. I think I am a strong communicator, both internally and externally, and I am willing to do the extra work to exceed our clients’ expectations. I really enjoy working on higher education projects, primarily with Temple University. I have a good relationship with the project managers there and I like that I can oversee the entirety of a project from the beginning of the design through to construction. I generally enjoy smaller scale projects for the same reason. You recently attained your LEED Green Associate certification – why did you choose to pursue this certification? What certifications would you like to achieve in the future? One of the first projects I was assigned to when I started working at Arora was Hickory Run State Park, and they were pursuing a LEED Silver certification. Arora was contracted to complete a lot of the documentation for the certification, so I got to become familiar with LEED procedures. I decided I wanted to achieve my LEED Green Associate certification, and I will eventually go on to achieve my LEED AP in Building Design and Construction (BD+C). Within the next two years I will begin to study for my professional engineer exam (PE), which I hope to pass on my first attempt. I also want to begin a master’s program and obtain my MBA. I think that will allow me to become better acquainted with the business development side of engineering, and that will be very beneficial for me moving forward in my career.